Grade level : NOB as per United Nations salary scale. 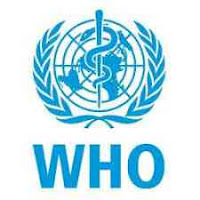 Under the direct supervision of the WHO Malaria, Surveillance and Monitoring and Evaluation Focal Person, and overall supervision of the World Health Organization Representative (WR), the incumbent will perform the function of Vector Control and Malaria Surveillance Officer. The incumbent will work closely and interact with the Ministry of Health, Community Development, Gender, Elderly and Children (MOHC- DGEC) through the National Malaria Control Programme (NMCP) to ensure that the required targets are met. Desirable: Post graduate degree in Medical Entomology or Tropical Medicine preferably in Malaria Control. At least 5 year of experience in the management of communicable diseases, statistics, epidemiology and health related research activities. Experience in communicable disease surveillance, monitoring and evaluation at national and/or international level. N.B. Only shortlisted candidates will be contacted.